This summer we will be offering the Adult Paleo. Program in June (Friday June 14th – Tuesday June 18th) and August (Monday August 26th – Friday August 30th). This summer will also be a little different, each outing will consist of quarrying (finishing our Edmontosaurus site) and prospecting (looking for fossils and seeing if we can find some new places to possibly dig). During each dig week we may evenly split – half a day digging, half prospecting – or maybe some days entirely digging, others entirely prospecting. This will largely depend on the weather and the group dynamics. Because the prospecting could theoretically consist of prolonged periods of hiking around in warm (or very hot) weather, we are increasing our age limit for participants this year. This year no youths under 14 can participate. As a safety precaution we do not want to have younger participants exposed to what could be harsher weather. Additionally, because of the dual goals of each week, all participants must sign up for the first day of each outing. 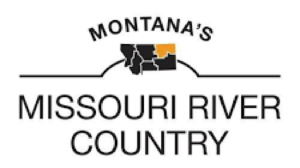 Participants can sign up for a single day, multiple days, or the whole week, but the minimum requirement is the first day (June 14th and August 26th). Please join the Great Plains Dinosaur Museum’s paleontologist Cary Woodruff and the Two Medicine Dinosaur Center’s paleontologist Dave Trexler for an authentic scientific experience as they continue to discover and uncover dinosaurs and other fossils. The 2018 dig season was great! 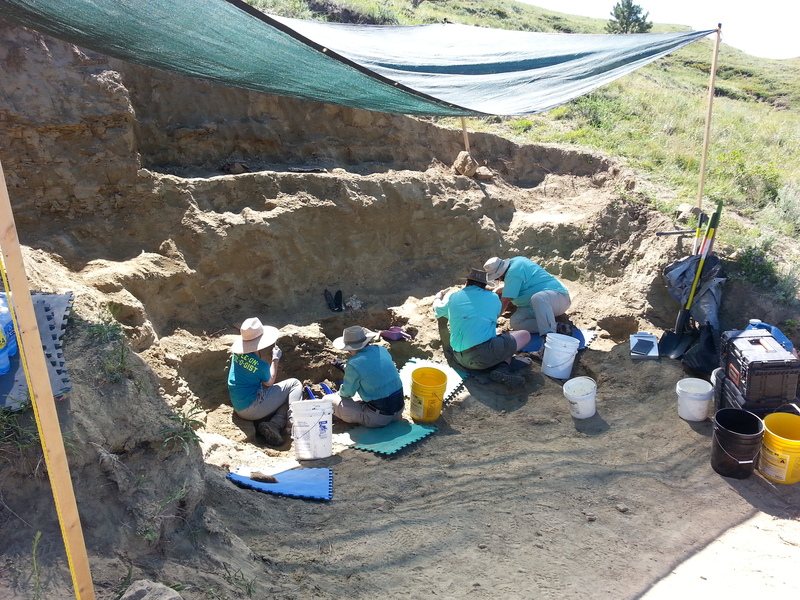 The GPDM and TMDC team worked together on an Edmontosaurus (duck-billed dinosaur) site in the famous Hell Creek Formation of southern Phillips County. This subadult-sized Edmontosaurus appears to be the only dinosaur at this site. The skeleton of this Edmontosaurus consists of parts of the skeleton articulated (in life position), and the rest is jumbled up – like a game of pick-up sticks with bones. We are very excited to see how much more of this Edmontosaurus we can find! 2019 participants will continue to excavate and jacket bones, and learn basic local geology, how to collect and record scientific data from a site, and how to safely collect and transport fossils. This is a 100% real, scientific dinosaur dig, and all specimens collected are donated to the Great Plains Dinosaur Museum for research and exhibits, so that these fossils are preserved locally for everyone to enjoy! 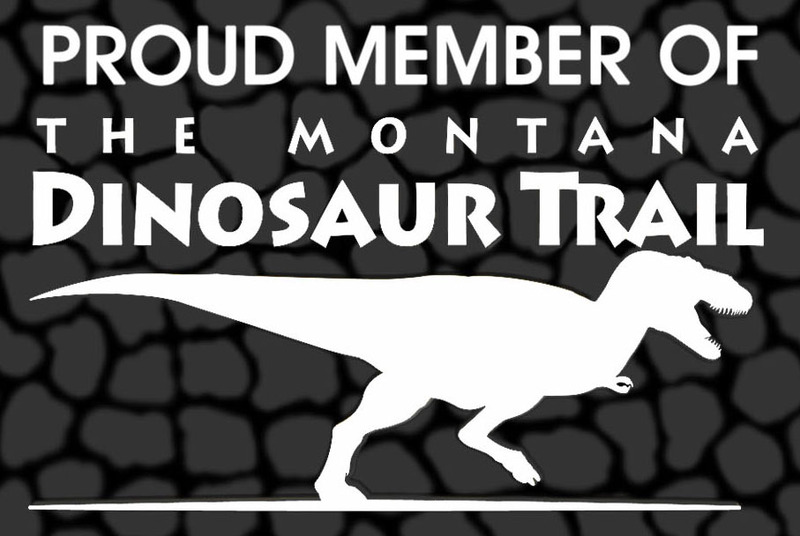 For reservations and more information, please email us at dinosaur@itstriangle.com or call us at (406) 654-5300.